Long time no see! My apologies for the long break between posts. Summer is busy and time seems to slip away so quickly. 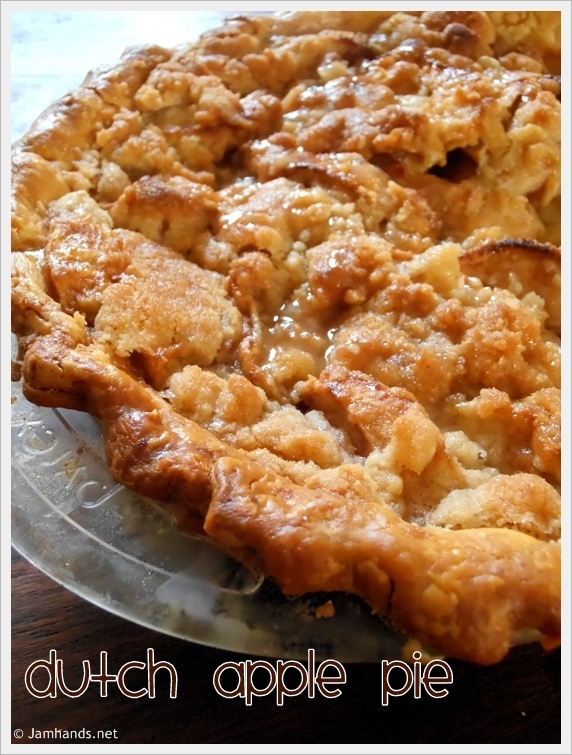 As my apology to you, I have an amazing recipe for a delicious Dutch Apple Pie. The crumb topping on this baby makes all the difference. Serve however you prefer, warm with ice cream or whipped cream, or maybe chilled from the fridge. Enjoy! 2. Fit pie crust into pie plate. 3. In a large bowl, mix sliced apples, lemon juice, both sugars,flour, cinnamon and nutmeg. Pile into crust. 4. Prepare topping:In a medium bowl, with a pastry blender or a fork, mix flour, both sugars, and butter until coarsely crumbled. Sprinkle evenly over apples. Just wanted to let you know that somehow you have a virus on your page!!! Every time I tried to come to the page from the link on my blogger account, my Norton's pops up and says it blocked an attack. Not sure what it's from, but wanted to give you a heads up :) And I can't wait to try the pie!! Oh yum, perfect for Fall's apple picking adventures! And what a lovely looking pie it is! This looks delicious! I was just given two boxes of apples from my neighbor, so was looking through your recipes to find a way to use them up. I think I found it! Thanks for asking me to link up to your party, and thanks for sharing this gorgeous pie. I'll be making this for our Easter dinner dessert! Yumm! What are the best apple's to use? 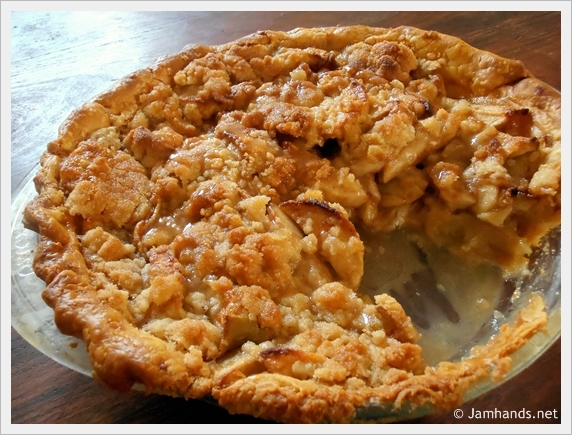 This is the best recipe I've found for apple pie.... I love the crumb topping and how easy it is to prepare. Seriously make this recipe several times a year! This recipe was absolutely ahhmazing! Can you can/jar the apple pie filling? Sorry, I don't do a whole lot of canning at the moment. I would look up a specific recipe for canning pie filling so that you are making sure you are getting it to the correct temperature to kill any bacteria, just to be extra safe. Thanks for posting this! The food.com site has a banner that won't go away when I try to access the site throughy phone, and I couldn't get the recipe! We LOVE this pie! It is amazing! We made this today and it was a good pie. I used very sour apples so I only used a sprinkle of lemon juice. The filling was very tasty but I have to admit I love a lot of crust. I would've liked it better with another crust rather than the crumble topping. I appreciate the feedback :) TY! This is my go-to apple pie recipe. It is so good!! !